A Splintered Mind: Wary of Psych Meds? Here is My Personal Experience With Them. Wary of Psych Meds? Here is My Personal Experience With Them. 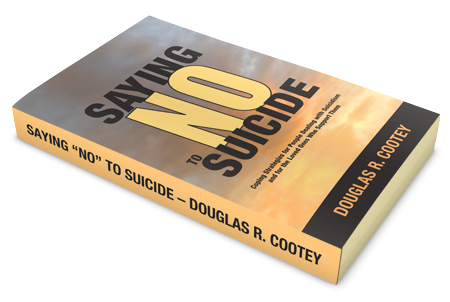 "Saying NO to Suicide", with added commentary. Just why am I so adamant against psych meds in the first place? Since I was in elementary school until I became disabled at 25, I used psych meds to regulate my life. I started with Ritalin and moved up to Cylert in college. In my early twenties I had a great deal of faith in modern psychiatry. I wanted to fix my head and they promised to give me the tools to do it. The tools they gave me, however, came in bottles. I was diagnosed as an adult with ADHD, a Panic Anxiety Disorder, and Depression. I took various psych meds for the Anxiety, but none worked. For Depression I took various meds like Wellbutrin and Paxil over a period of time that I cannot recall completely. The drugs made me quite loopy and disconnected. I'd acclimate, they'd up my dose. I'd acclimate, they'd up my dose. Soon I was taking the max of a particular drug so they'd switch me over to a different one. I repeated this cycle until I sought a specialist who gave me Desoxyn and Zoloft. I remember how productive I was on Zoloft and Desoxyn. Boy, I accomplished a lot. I wondered if that was what "normal" people felt like. This period lasted for about three weeks. Then I started twitching and ticking. Even after stopping the Desoxyn I continued to tic. The ticking was so bad my wife had to cut my food for me. Fifteen years later I still tic and she still wants to cut my food, though I don't like to let her. What is interesting to me is the fact that even though the Desoxyn had damaged me to the point that I ticked involuntarily, even when I stopped taking it I still continued the Zoloft. I trusted the doctors that much. Having one's arms fling about madly for no reason while one's head tries to launch in the opposite direction tends to give one a different perspective on the efficacy of psych meds, however. I began to realize that even with the medications, I was still depressed. I took to hiding in my bedroom and wishing I was dead. The psych meds took the highs and lows out of my life, but I was still miserable. The Zoloft wasn't working. At this point I was fairly fed up. On top of that the ticking grew progressively worse and after a while vocal tics followed. I no longer had faith that the doctors could help me. I figured I was distracted and moody before they messed me up, so I figured I could go back to being that way. I stopped Zoloft cold turkey. I went through a 30 day period of intense Depression and suicidal ideation. It was a rocky month, but I came through on the other side free of psych meds and taking responsibility for my own mind again. Doctors had failed me so I was on my own. This is why I am personally opposed to psych meds as a solution. Statistics show that I am not alone, either. Psych meds are no more effective than sugar pills for a large portion of the population.These people in particular I am trying to reach with my writings. For them I spread the word that they don't have to be victims of their own mind. They can overcome these disabilities and be happy and productive again. The power to transform their life is inside their own minds. This message may offend some. If you feel that psych meds are your own personal savior, then more power to you, but don't project that onto others. I also hope you will not feel the need to defend yourself for being on psych meds. If you are one of the small percentage that can actually make use of them, then, as I said before, more power to you. Some of us, however, need to find a different, non-medicated path, and it is high time that path was respected. In the end, though, the method you use to overcome your Depression, ADHD, Bipolar Disorder, etc. is between you and your advisor. I'm just trying to help you, my readers, understand why I get my socks all twisted in a lump when the subject of side-effects comes up. I'm permanently, neurologically damaged, and I consider it my duty to warn others of the dangers.